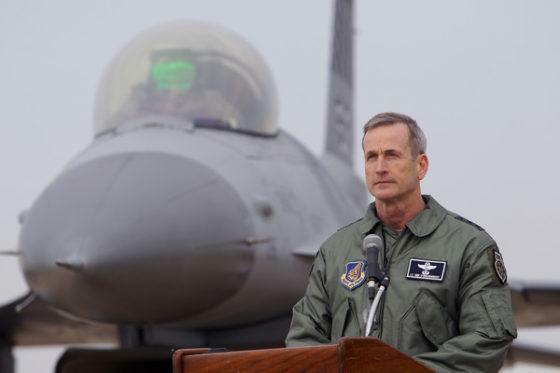 NORTHCOM Commander: "The U.S. Homeland Is No Longer A Sanctuary"
According to The Military Times, O’Shaughnessy says that peer-level adversaries are probing U.S. defenses in multiple domains and that the continental United States is well within their sights. That was a reference to Northrop Grumman’s APG-83 Scalable Agile Beam Radar when the Air Force chose to upgrade 72 Air National Guard F-16 Falcons in 2017. The APG-83 helps the F-16 to detect, track, and identify more targets faster and at longer ranges. Northrop Grumman also stated the radar is capable of operating in hostile electronic environments. “It’s probably dangerous for us to think we can physically be a sanctuary when we’re in competition below a level of armed conflict, and we have a couple of new domains that our adversaries are operating in: cyber and space.